The Hobbit meets Cartoon Network's smash-hit Adventure Time in this full-color graphic novel series kickoff as a singing skeleton searches for his origins alongside his adorable gelatin monster sidekick! 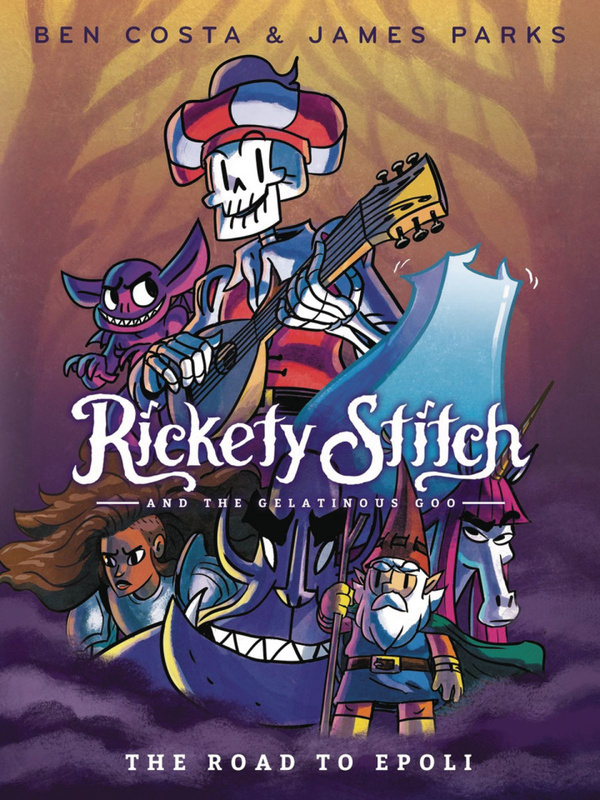 Rickety Stitch is a walking, talking, singing skeleton minstrel, the only animated skeleton in the dungeon who seems to have retained his soul. He has no idea who he used to be when he was covered in a living, breathing sack of meat and skin. 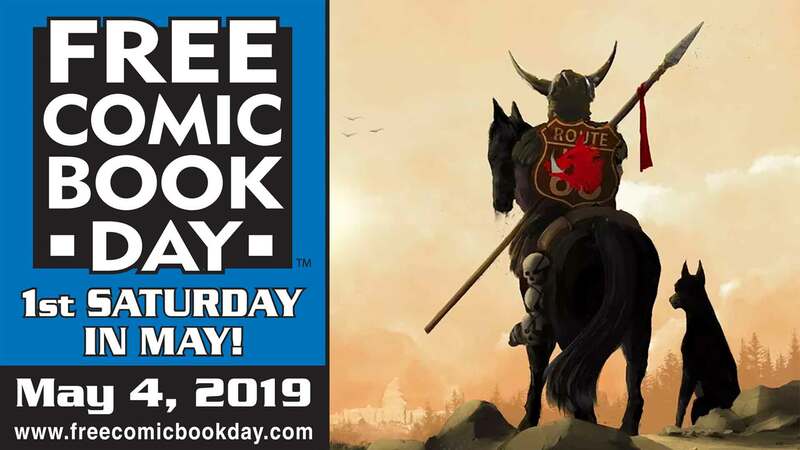 In this rollicking first volume, Rickety encounters imps, gnomes, giants, unicorns, a mysterious lady knight, and other fantasy dwellers on his quest to uncover his identity and spread his (painfully bad) music far and wide.